Throughout our high school careers, we often hear our advisors tell us, “You get out what you put in!” This is the case for me, at least. Our advisors are often our main source of inspiration and motivation, and although we tend to dismiss their advice and move along, they are pushing us in the right direction. Missouri FFA offers us endless opportunities to develop leadership and personal skills. As I entered my freshman year, I hadn’t quite reached my full potential. With a push from my advisors, I broke through my shell and discovered the “soft skills” that FFA promotes such as public speaking, teamwork, networking and creative thinking. Breaking our personal barriers isn’t always easy, but it is an essential step in our journey. For me, this happened at HYMAX (Helping Youth Maximize Agricultural Experiences) Academy. Spending a weekend with other members that were my age from each area of the state reassured me that FFA was the organization for me. I still remember learning about methods of “AGvocating” for our industry over the course of the academy. 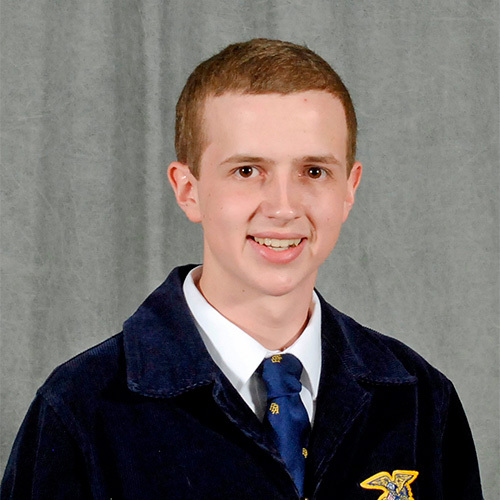 HYMAX taught me countless life skills that I have applied to the rest of my FFA career, and I have no doubt that it introduced me to some of the most passionate people I know. As we finish the school year, I look forward to spending the summer traveling the state and meeting members as we break through our personal barriers and discover success! If we take the advice of our advisors, we have the skills it takes to be successful!